HCFoo's Tennis Blog – Tennis Celebrity Photos, News, Gossip and More! 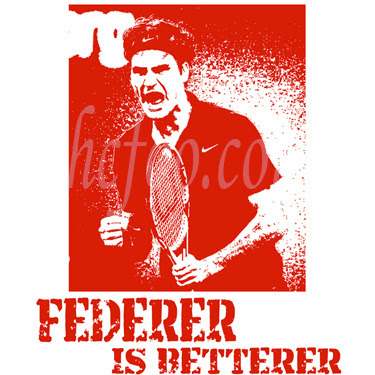 : Rafael Nadal and Roger Federer t-shirts for sale soon! Rafael Nadal and Roger Federer t-shirts for sale soon! After much criticism by some friends about Rafael Nadal's t-shirt design in my blog yesterday, I've come up with a 'better' results. It turns out that the previous design is rather 'childish'. 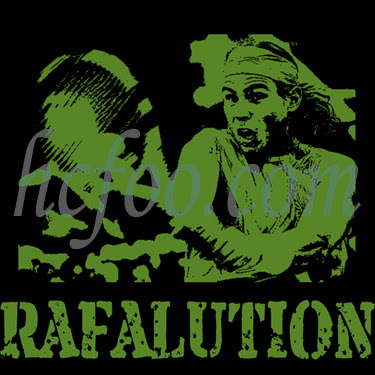 Hence, I've designed Nadal and Federer t-shirts with the Che-Guevara effect, which I hope you guys would like. So this is final. Nadal's t-shirt is black while Fedex's is white. Price and other order details will be up soon.